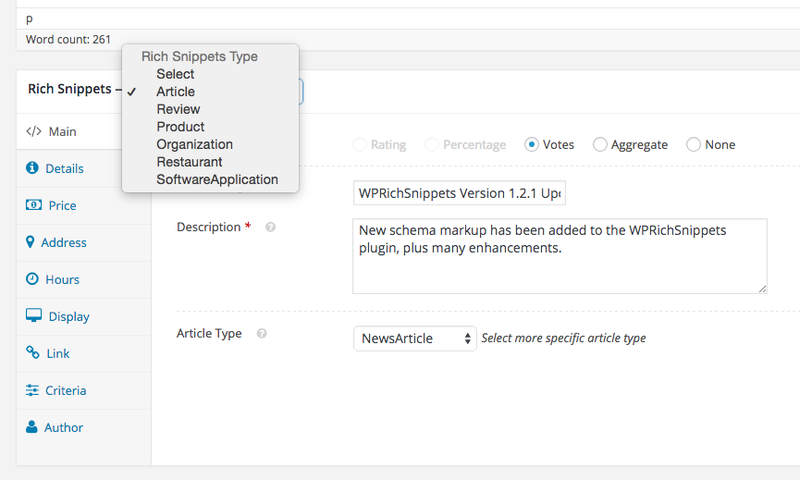 There are several Rich Snippets types to choose from, simply choose from the drop list the desired type, then decide which review type you want to use and fill the fields on the main tab. The Main tab fields will change based on the Rich Snippets type you are using! Aggregate: user aggregate reviews and ratings. Each review type will display differently in Google’s search results. For Editor Rating or Percentage rating, you must select a star rating or a percentage rating. This could be the name of the product, service, place, business, restaurant…etc. Write a few words that describes the product or service you are reviewing, one short concentrated paragraph is quite enough.